Multi award winning food and service, great wines, craft beers. WE WILL BE CLOSED FOR LUNCH ON MONDAY 20TH MAY FOR KITCHEN MAINTENANCE. Recommended by The Sunday Times, Financial Times , Sunday Mirror, Delicious and Olive magazines and many other foodie publications, we have the best rating in East Suffolk in The Good Food Guide 2019. Great food. Fab service. Relaxed vibe. 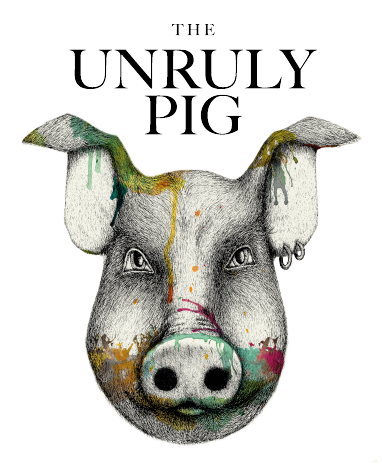 That’s what The Unruly Pig is all about. We’re a 16th century Suffolk Inn with cosy log burners, original oak beams and an eclectic mixture of pop and quirky art. A traditional pub with a contemporary feel and ambience. We have a decked area and garden for al fresco drinks/ dining and our bar is very dog friendly (treats always available). So just pop in for a bite and a pint, or spend some time tasting our fabulous wines and some of Suffolk’s most glorious food. 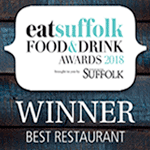 A genuinely warm welcome awaits you at the ‘Best Suffolk Restaurant 2018/19’. Just come and be Unruly! 'A lovely relaxed pub setting for fine dining...a great value treat meal for all discerning diners. Service, wine list, menu and experience were all just perfect. No hesitation in recommending and would go again'.